Adopt an eco solution or two by consulting with Gaia Discovery. We are headquartered in Singapore, servicing businesses in Southeast Asia and beyond. Gaia Discovery's strength lies in looking at the big picture in integrating the various aspects of the business operations for the least impact on nature, ecosystems and communities. Share with us the environmental challenges you face and we will look for the most efficient and cost-effective solutions in the market. While we focus on the rapidly growing (too often polluting and damaging) tourism and hospitality sectors, we wish to spread the joy of going green to all individuals and businesses for their residential or commercial properties. We will be thrilled to give some preliminary advice. Because we care for Gaia. 1. Promote responsible business operations for the benefit of the environment, in particular the tourism and hospitality sectors. 2. Give practical advice and recommend sensible cost-effective solutions for carbon neutral operations. 3. 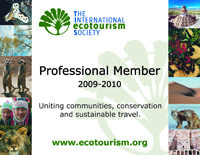 Guide in the implementation of eco solutions in an integrated way and help in the attainment of green certification. Solar photovoltaic (PV) systems refer to a wide variety of solar electricity systems. The silicon material used converts sunlight into electricity. PV systems are used in a number of ways, primarily to power homes, businesses and plants that have a connection with the electricity grid supplied by the municipal or government power plant. PV is also a convenient solution for places that do not have ready or cheap electricity source, such as islands and remote operations. The use of solar energy can reduce your reliance on other forms of energy to any degree you choose, depending on the size of system. In some places, excess electricity can be channeled back into the electricity grid, and you can be paid for it. Solar PV systems can also be used in combination with wind turbines to produce energy on cloudy or windy days. Solar water heaters are a cost-effective way to generate hot water for your home, office, resort or hotel. Solar heaters can be connected directly to one unit (guest room) or networked for central distribution systems in larger resorts and hotels. They can also be used in any climate, and the power that they use - sunshine - is free. 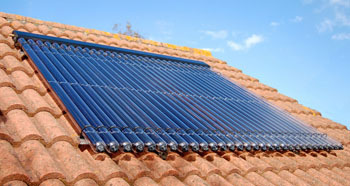 Solar water heating systems include storage tanks and solar collectors, which are usually mounted on the rooftop. There are active and passive solar water heating systems. An active system refers to pressurized models, while passive refers to non- or low-pressure models. Wind turbines that harness wind energy have blades of varying sizes to cater to different energy requirements. They come not just in horizontal format as in the free blade propeller, they are also available in vertical axis formats. The kind of wind turbine that is most suitable depends on a number of factors such as space availability, shifting winds and power requirements. This is a low environmental impact energy source for hilly and coastal areas. A small 5kW turbine produces 20-30 kW per day at most sites, which is ideal for places with remote power systems and for grid integration. Wind turbines can be used in combination with PV systems to tap into varying clean energy sources for uninterrupted power supply. The movement of the waves in the sea can be converted into electrical energy. The consistent force generated by waves produces reliable power, rain or shine and in any climate. 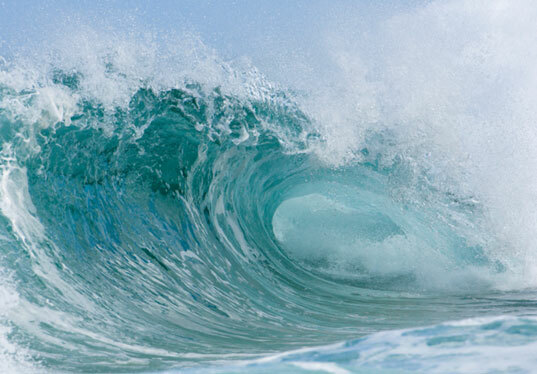 Wave energy is a fast path towards a renewable power system. This energy solution is suitable for small hotels and resorts, even in remote areas where electricity from the power grid is unavailable. Scalable for greater outputs. Of all the small renewable energy systems around, a small hydro system - where it's feasible - may be most cost-effective and reliable. If you have running water near your property, you may want to consider investing in this natural resource. A micro-hydro system very simply takes the energy available from a falling stream of water and converts it into usable electricity. Also works well in combination with solar (PV) and wind turbines. A micro-hydro system can mean ready and accessible energy around the clock, if you have a steady stream of water. All that is required is a fall of several feet high, and a micro-hydro system, consisting of piping, turbine generator and integration with regular power systems (where possible). LEDs are the most environmentally-sound and energy-efficient lamps compared to others. LED is short for light-emitting diodes and are made of semi-conductor materials with no mercury or toxic components. This is an ecologically safer choice over compact fluorescent lamps or CFLs that are being marketed as “energy saving” even though they pollute the land and waterways (thus people and wildlife) due to inadequate disposal or recycling means. New developments have ushered in an exciting range of LED models that can be used in various practical applications for the home and office. LEDs are suitable for small and large building premises with the variety of globe, spotlight and tubing lamps – these can readily available and easily replace existing lamps used. LED lamps offer long service life and high-energy efficiency - 80% energy savings can be realized immediately. Compactors are hydraulic presses that crush waste and recyclables to handy, transportable sizes. One tenth to one fifth of the size can be compressed depending on the material. This could effectively free you of 90% of the space, which can be better used for other purposes. Compressible materials include cardboards, different kinds of plastics, aluminium and steel cans. Balers are effective in compacting and packaging for the recycling of cardboard and other papers e.g. magazines. They automatically “bind” the paper into neat bales. Balers and compactors are essential for efficient operations for resorts, hotels and production plants. Turn waste into nutrient-rich fertilizers with compost machines. Excellent for industry, condominiums and big kitchens in particular, the compost machine is a powerful equipment that shreds and grinds waste materials into smaller pieces before processing them in a two- part chamber. An optional automatic pellet doser takes the human activity out of the equation; it senses and adds the correct amount of pellets each time. Two weeks later, you get fresh compost that can fertilize gardens and parks. Special compostable paper bags are available for easy waste drop off into the hopper - ideal for residents in a green condominium or housing estate. 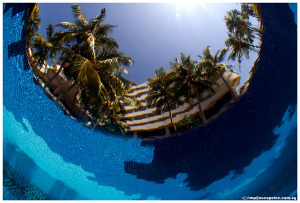 It is important for all pools – in hotels, resorts, houses, public and private clubs - to maintain optimum water quality of the pools to promote good health by preventing skin diseases, bacteria growth, and algae formation. To have good water maintenance, you need good pumps for correct water flow, good filter system to sieve out impurities, and non-toxic chemicals as disinfectants. Inadequate maintenance, lack of water balance, poor water purification and old systems may lead to harmful consequences for swimmers. The pool’s ambient temperature can also be harnessed and integrated into the heating and cooling requirements of your property. This is a clean energy source that can be tapped, reducing your overall utility bills. In places where there has been destruction or degradation of corals and reefs, diminishing the quality of fishery and marine life, it is possible to bring back new corals. 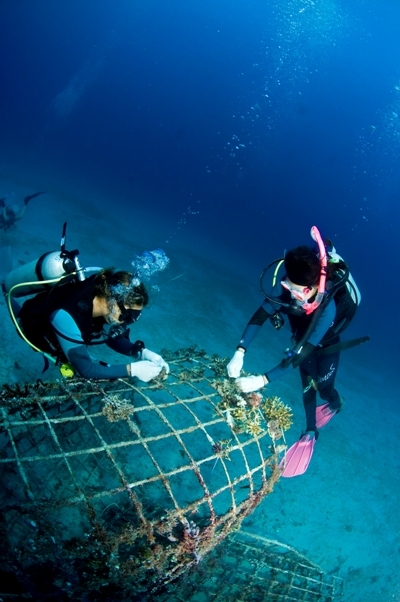 Restoration is possible by introducing Biorock, a proven technique that promotes the growth of new corals on a specially constructed steel-enforced reef. A low-powered electricity from a clean energy source or from the main grid is attached to the structure to hasten coral growth. The structures can be prepared according to custom requirements to fit the size and scale of the coral reef restoration project. Biorock has restored marine environments through the Global Coral Reef Alliance not-for-profit organization in more than 20 countries. Too much waste is generated from corporate events, arts and music festivals, leaving pollution behind for the next generation to deal with. Irresponsible organising can be avoided with careful planning, consideration for the environment and a dash of eco-creativity. 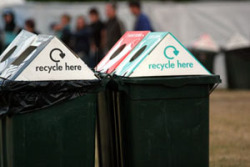 Gaia Discovery Eco Solutions can advise event and festival organisers on policies and practices to reduce pollution and waste, and be at hand to ensure that participants too take greener measures in getting to the event, concert grounds and back. All enquiries welcome (from individuals, businesses, hotels, resorts, green product manufacturers and suppliers). Photo of hotel courtesy of Imran Ahmad of Escape Inc.